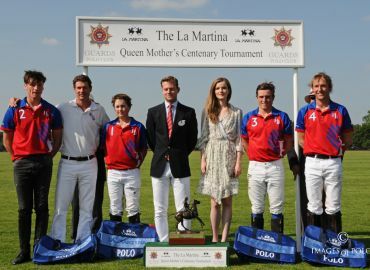 The best place in the UK – if not the world – to watch polo is, without doubt, Guards Polo Club. Situated in the heart of the impressive Windsor Great Park, Guards Polo Club was founded by HRH The Duke of Edinburgh in 1955 and he remains the Club’s President to this day, retaining a keen interest in all activities at Guards Polo Club. Guards Polo Club is host to more than 500 matches a season, making it the largest club in Europe. 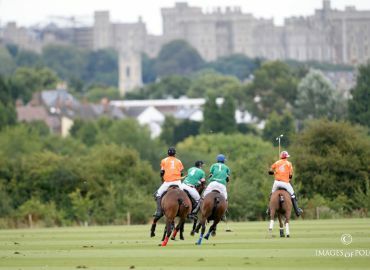 It plays at two locations within Windsor Great Park – 10 grounds at its original home here at Smith’s Lawn, including the high-goal Queen's and Duke's Grounds, plus the recently created grounds at Flemish Farm, with their spectacular backdrop of Windsor Castle. Guards Polo Club also manages the polo at neighbouring Coworth Park. 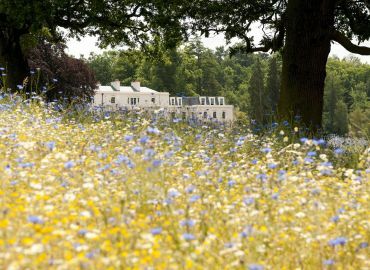 Our Smith's Lawn location also boasts two Royal Boxes, plus an elegant, members-only, field-side Clubhouse restaurant and bar, which is now managed by the private dining experts Mosimann's. Guards Polo Club also has a children's play area for our younger visitors and our events team, in partnership with Mosimann's, is expert at creating fun events on Bank Holiday Mondays for our very young members, such as face painting and children's entertainers. With a spectacular backdrop of Windsor Castle, the Castle and Cavalry Grounds are the jewels in the crown of Guards Polo Club’s Flemish Farm complex. Opened in 2014 after an extensive renovation project, Flemish Farm also features 100 stables, grooms’ accommodation, a Martin Collins all-weather exercise track, schooling and stick and ball areas. Priority for stabling is given to playing members of Guards Polo Club and only those stabling at the Farm can ride their ponies through the Park to play at Smith’s Lawn.